There is a new player in the Friday brunch scene in Dubai. 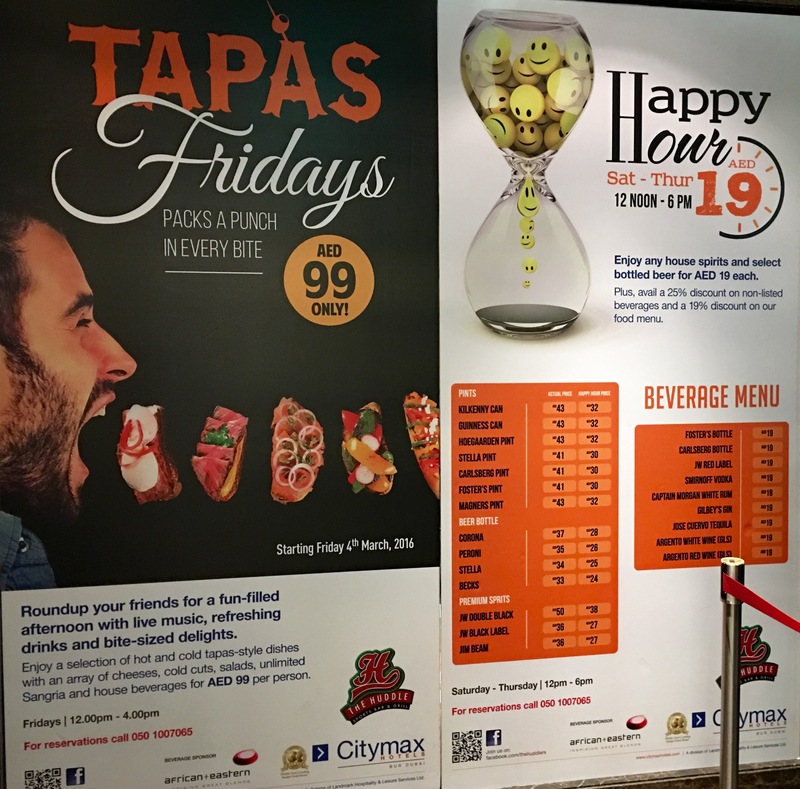 The Huddle Sports Bar & Grill at the Citymax Hotel in Bur Dubai has launched a Friday brunch last Friday-Tapas Fridays Brunch. It is an alternative to conventional Dubai brunches. 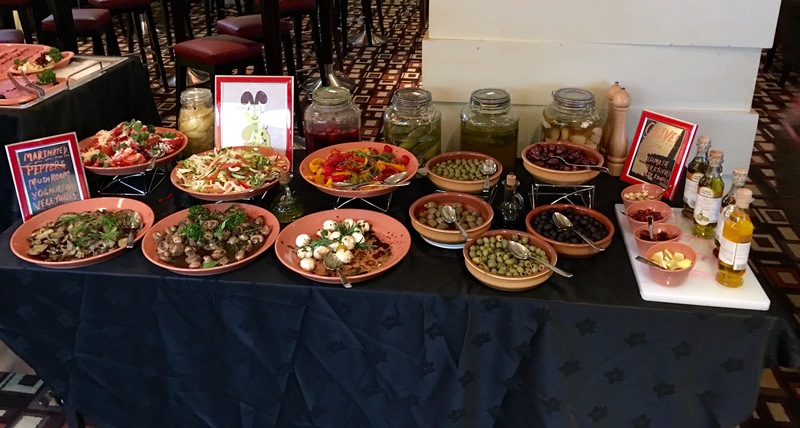 The Huddle offers a wide range of Spanish inspired bite sized delicacies, salads, cold cuts, main course and desserts with unlimited Sangria and house beverages. 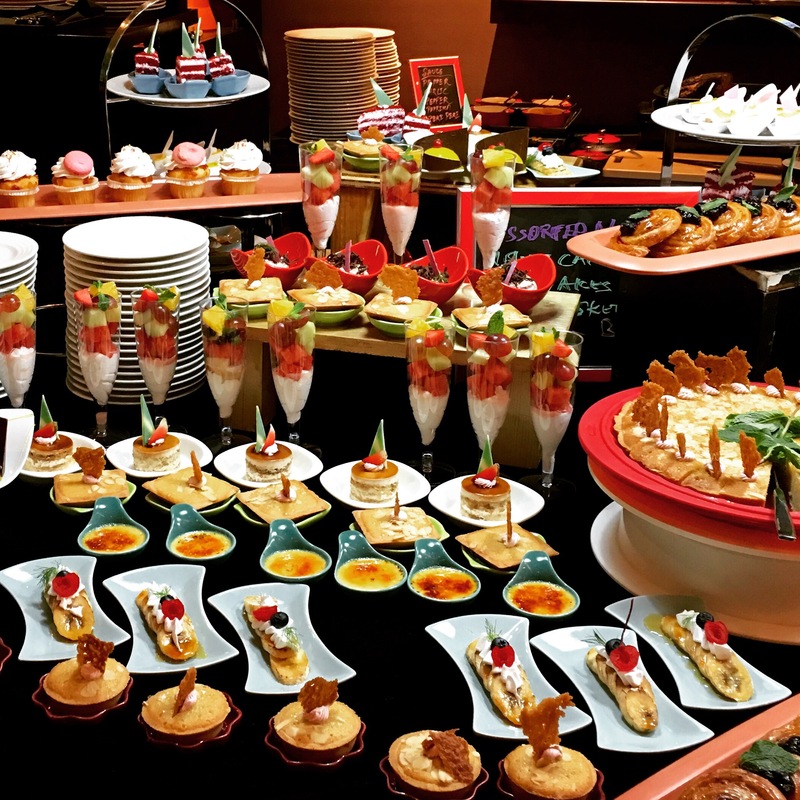 All this for just AED 99 per person. It is quite a steal isn’t it! My husband and I went to the Huddle Sports Bar & Grill last Friday for the Media preview of the Tapas brunch. 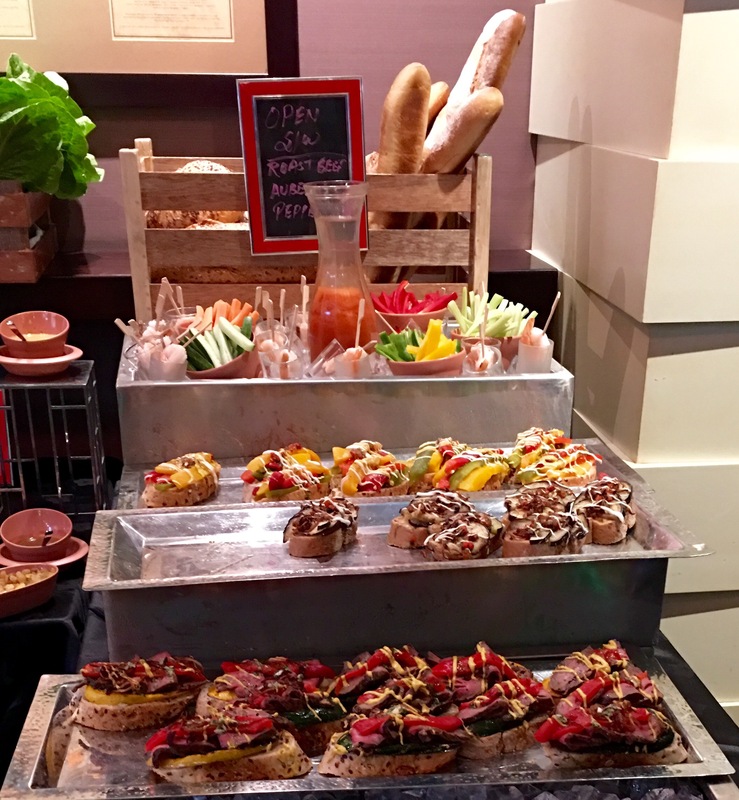 The Tapas Friday Brunch is offered every Friday from 12 PM to 4 PM. 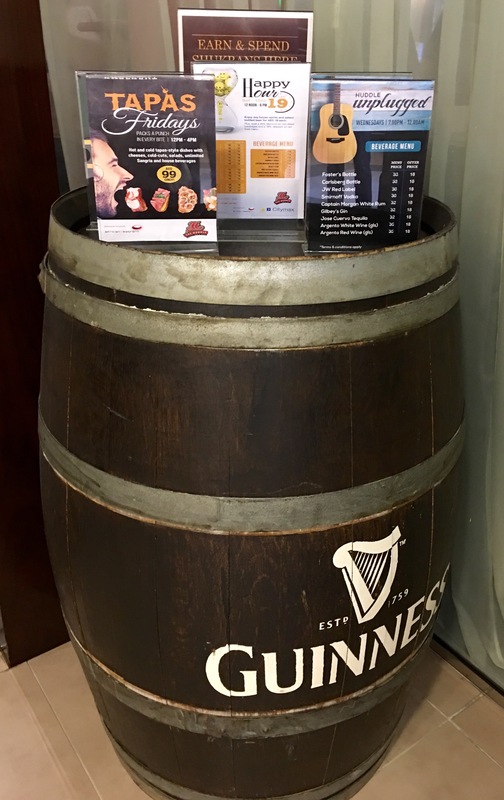 The Huddle Sports Bar & Grill is conveniently located and easily reachable. It is in the ground floor of Citymax Hotel Bur Dubai. There are no parking hassles as there is free valet parking. We went around 12:30 in the noon and it was already packed. 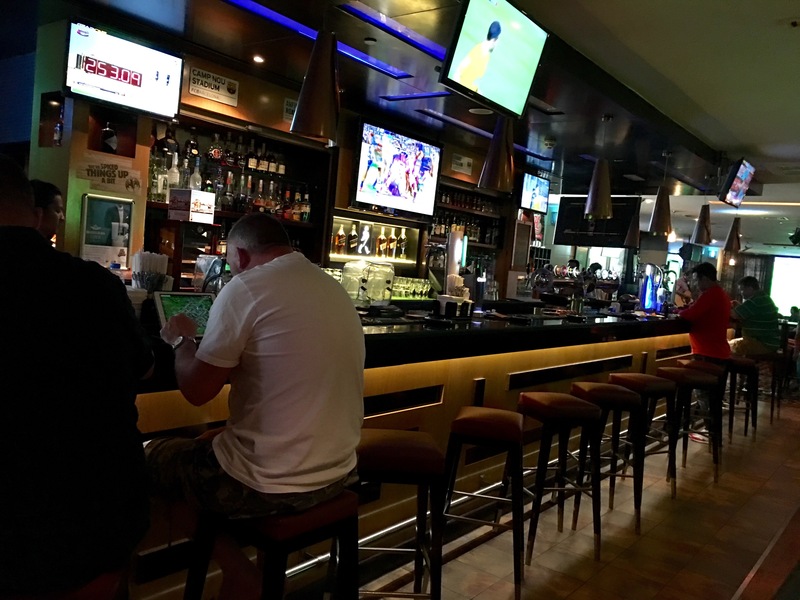 It is a spacious bar and has a typical ambience of a sports bar-huge plasma televisions and sports paraphernalia is plastered all over the bright walls. It has a huge well stocked bar and a makeshift stage for live performance. The seating is comfortable. The atmosphere is lively and energetic. The live music keeps you entertained throughout the brunch. 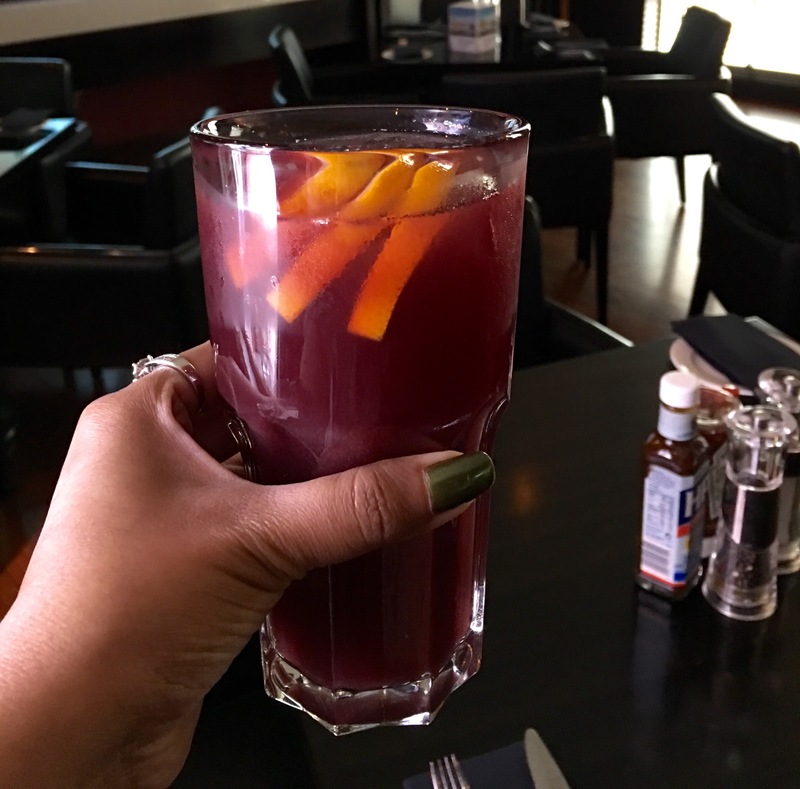 We ordered a glass of Sangria, it came in a huge glass. It was refreshing but very strong. After that we hit the buffet counter and tried the various selections of cheese, olives and salads. We especially loved the marinated veggies and pepper stuffed olives. They had a good selection of cold cuts too. Non vegetarians have great options and for vegetarians the options are limited. There was a selection of open sandwiches for appetizers. We had the roasted aubergine sandwich and the roasted bell pepper sandwich. It was excellent. The mains included seafood, roasted beef, roasted chicken, seafood paella and sliders. Our favorite was the dessert counter at the Huddle Sports Bar & Grill. We tried a little bit of everything and liked most of it. We especially liked the tiramisu, Creme brûlée, mango mousse cake, strawberry cupcake and red velvet cake. Live music, positive vibes, welcoming staff, good food spread and unlimited drinks. All this for just AED 99 per head. I can’t ask for a better Friday afternoon than this. 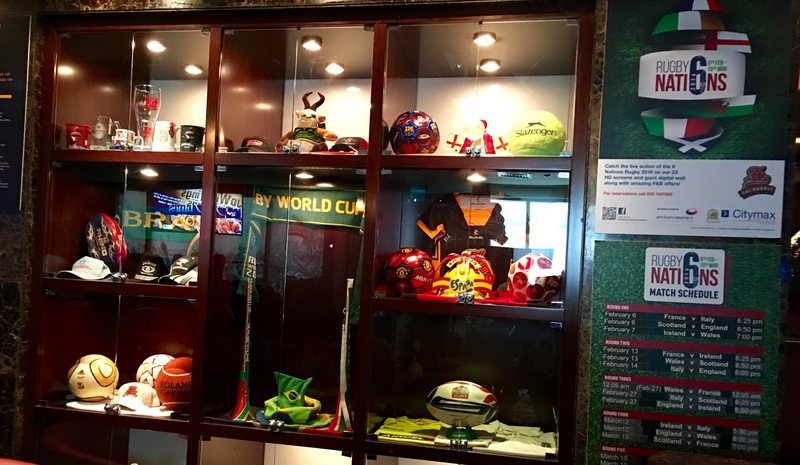 If you are looking for a pocket friendly Friday brunch with decent food, unlimited drinks and live music then it is worth visiting The Huddle Sports Bar & Grill at the Citymax Hotel Bur Dubai.